Announcement: DIARY & Berrybrook Box Set! 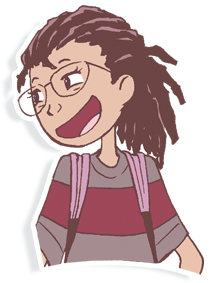 NEW YORK, NY (3/18/2019) – JY, the middle grade imprint of Yen Press, LLC, announced today the latest installment in Svetlana Chmakova’s BERRYBROOK MIDDLE SCHOOL series. DIARY, the fourth volume of the award-winning graphic novel franchise, represents an exciting variation that, in addition to exclusive short stories featuring familiar faces from Berrybrook, doubles as a real journal featuring a “One Sketch a Day” section, stickers, and free note pages with fun journal entries from one of the main characters. 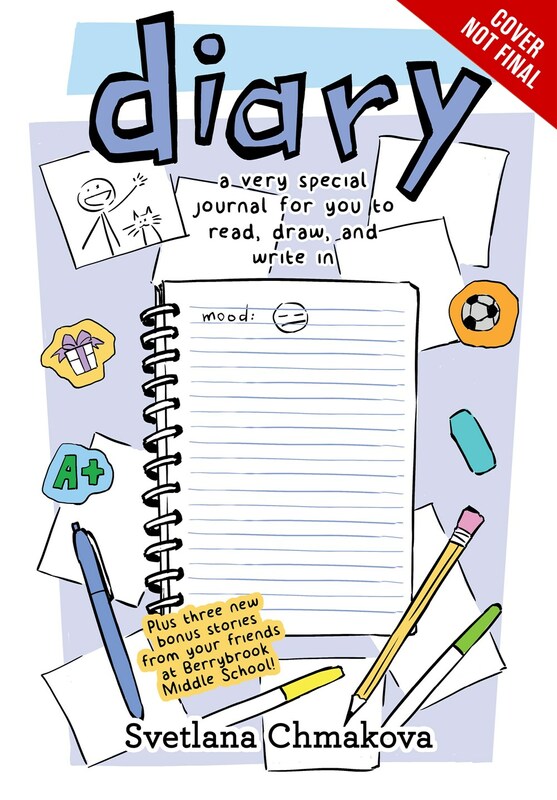 Simultaneous to the standalone release of DIARY, the latest book will also be included in the BERRYBROOK MIDDLE SCHOOL BOX SET, a collection of all four of the Berrybrook stories, including AWKWARD, BRAVE, and CRUSH. Perfect for the holiday gift season, the BERRYBROOK MIDDLE SCHOOL BOX SET is the ideal introduction of these books to new readers. From its initial release with AWKWARD in 2015, Berrybrook Middle School has garnered critical acclaim, earning an Eisner nomination and winning the 2nd Annual Dwayne McDuffie Award for Kids’ Comics. The subsequent books, BRAVE and CRUSH, have also been well received, securing spots on YALSA’s Top Ten Great Graphic Novels for Teens list. The series has sold almost a million copies to date. Creator Svetlana Chmakova is an internationally published, award-winning manga/comics author, with more than 10 published books and her work translated in over 13 languages. Born and raised in Russia, she moved to Canada at sixteen-years-old to finish high school and received a Classical Animation diploma from Sheridan College. Her full-length manga and comics series include the fan-favorite romantic comedy DRAMACON, the award-winning urban fantasy NIGHTSCHOOL: THE WEIRN BOOKS and the manga adaptation of The New York Times bestselling WITCH & WIZARD by James Patterson. Both DIARY and the BERRYBROOK MIDDLE SCHOOL BOX SET are slated for an October 2019 release.